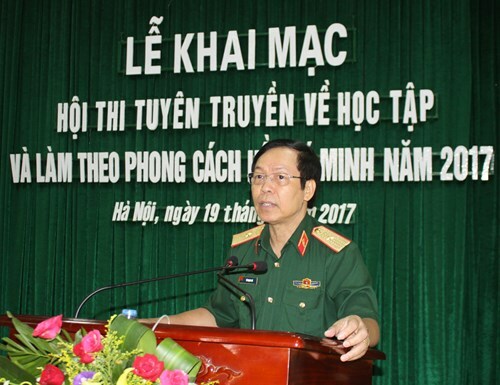 Currently, studying and following President Ho Chi Minh’s ideology, morality and living style in compliance with 12th Politburo’s Guideline 05-CT/TW have become a task of routine in the Armor Corps and proven to be very effective in improving the morale and conduct of the Corps’ cadres, Party members and civilian personnel. With the announcement of Politburo’s Guideline 05-CT/TW, Central Military Commission Standing Committee’s Guideline 87-CT/QUTW and General Political Department’s Plan 1585/KH-TC with the theme “Push ahead the work of studying and following President Ho Chi Minh’s ideology, morality and living style”, the Armor Corps Command and Party Committee had a great opportunity to enhance the effectiveness of their Party building and cadre training activities. Subsequently, the Corps’ leadership issued a number of directives and orders to realize these guidelines, making a lot of improvements in armor units and service members’ consciousness, conducts, morality, responsibility and working and living style to fulfill any mission. First, Armor Corps Command and Party Committee laid down policies and methods, developed plans and identified criteria for specific groups of their subordinates. The Corps' Party Committee determined that the implementation of Guideline 05-CT/TW should be integrated into the realization of Resolutions of the Party Central Committee's 4th Plenum (11th and 12th tenure), Resolutions of the 10th Military Party Congress and Armor Corps Party Congress as well as “Uphold tradition, devote talents, earn the title of Uncle Ho’s soldiers” Campaign. To this end, cadres and Party members, especially leadership at all levels, should demonstrate the spirit of “lead by example” and “actions must match words”. Due to the fact that Guideline 05-CT/TW consists of more issues than Guideline 03-CT/TW (by 11th Politburo), the Corps Party Committee decided to establish an assisting board to instruct, monitor, inspect and support its subordinate units in executing their tasks. 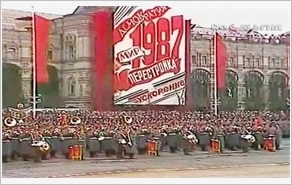 At the same time, the committee also closely oversaw the performance of those units to addressed downsides such as: just-for-show results, inefficient activities and belittlement to prevent political, moral and living style degeneration and “self-evolution”, “self-transformation” inside the Corps. Besides, armor units increased propaganda and education activities about Uncle Ho’s life and career. This work was implemented under various forms and methods, such as: study sessions, story-telling contests, political meetings, forums; broadcasting on mass media; or propagating with panel and sign systems, and notice boards in barracks. In addition, studying and fully grasping 12th Central Party Committee Resolutions and other political papers related to Uncle Ho were put in high regard, and training sessions were organized to ensure a thorough implementation of Resolution 05-CT/TW in the entire Corps. Also, the Corps held a conference to honor and award exemplary individuals and summarily debrief 3 years of “Uphold tradition, devote talents, earn the title of Uncle Ho’s soldiers” Campaign(1); an informal talk with the subject “Push ahead the work of studying and following President Ho Chi Minh’s ideology, morality and living style, earn the title of Uncle Ho’s soldiers in the new era”; and a propaganda contest(2) with a similar topic. These activities aimed for making members of the Corps deeply aware of President Ho Chi Minh example and encouraging them to work, train and study harder for better performance in their daily service. So far, most of the Corps’ members have shown notable improvement in their political awareness, morality, living style, work ethic, and discipline and law abiding consciousness. Following President Ho’s ideology and methods, Party building has made significant progresses. In 2017, Armor Corps Party Committee focused on enhancing leadership ability and quality among its cadres and Party members. Notably, the work of overseeing, training and educating officers and junior personnel was implemented with the spirit of “self-criticizing and criticizing”, “self-evaluating”, “self-correcting” and “promoting examples” to prevent political, moral and living style degeneration and “self-evolution”, “self-transformation” as 4th Central Party Resolution underlined. In addition, the principles of combining plural leadership with individual management, human resource development with Party member building work were strictly followed. Units’ internal unity was well preserved, equity was highly regarded in party committees, party organizations, and their subordinate units, and internal inspection and supervision were also heavily focused. Notably, there have been many innovative and excellent methods and model were explored in the progress of implementing Guideline 05-CT/TW, such as: “5 weekly understandings”, “Mental and physical health counseling group” in Brigade 201 and 215; “Determine to win Youth Vehicle Crew” in Brigade 215; “Youth Union Cell with no discipline and legal offense”; “Self-monitored Class”; “Self-monitored Youth Week” in Armor Technical School and Armor NCO Training No1; “Exemplary workshop, exemplary garage” in Medical Depot and Workshop 32; “5N Handbook”, “Benevolent wave”, etc. Especially, in spite of just being implemented from March, 2017, the model “Voice of Commissar” in Tank Brigade 201 has shown many practical values, enabling the brigade’s political cadres to complement their knowledge and propaganda skills, improve the quality of propaganda activities and promote spirit de corps among their men. It also became a crucial factor in developing service members’ morality, ideology and responsibility. Grounded in outcomes mentioned above, in the following years, Armor Corps Command and Party Committee will continue to push ahead the implementation of Guideline 05-CT/TW to further enhance the corps’ units and service members to strengthen its capabilities in all aspects to fulfill any mission under any situation. 1. After 3 years of “Uphold tradition, devote talents, earn the title of Uncle Ho’s soldiers” Campaign in Armor Corps units, there were 89 individuals received commendations; 20 individuals were awarded Armor Corps Certification of merits, and 2 individuals achieved Ministry of National Defense Certification of merits. 2. There were 18 commanders from units in the corps participated in this contest, among them, one officer received distinction rank, and 17 others were awarded excellent rank (at all-army level, 2 armor corps officers competed in the contest, one of them received 2nd prize and the other was awarded 3rd prize).